Designed by Beatrix Farrand in the 1920s and ‘30s within the historic Georgetown section of Washington, D.C., the 27-acre Dumbarton Oaks Park has made great strides towards a renewed and sustainable existence. Stricken by overgrown and invasive vegetation and severely eroded by stormwater run-off from upstream development, the park was suffering from decades of deferred maintenance. TCLF sounded the alarm about this hidden gem in 2006, listing the NPS site as an at-risk landscape. 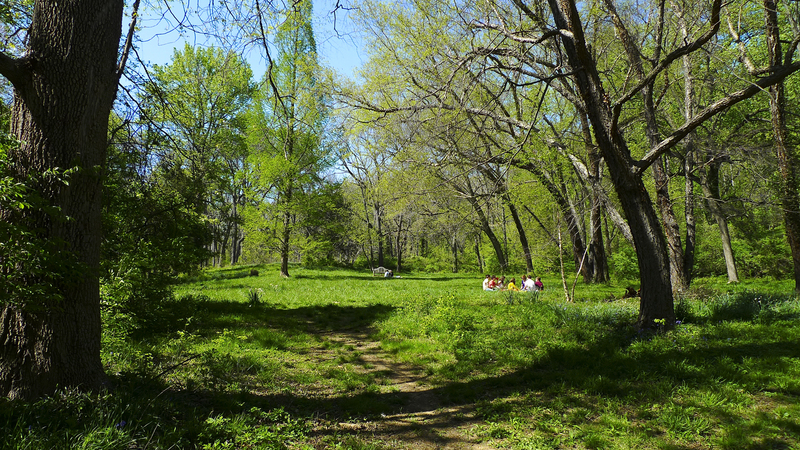 In 2010, the non-profit Dumbarton Oaks Parks Conservancy (DOPC) was established to restore, promote, and maintain the park. Working in close partnership with Rock Creek Park (a unit of the National Park Service), the DOPC launched the Signature Project in 2012, an initiative aimed at restoring the two-acre historic Beech Grove near the park’s main entrance. Biodegradable coconut fiber logs and coir matting were installed on steep slopes to mitigate erosion and increase the supply of groundwater. Invasive plant species were removed in tandem with the Rock Creek invasive management program; native grasses, groundcovers, shrubs, and trees were planted; and the walls of the Old Stone Pump House were re-pointed. 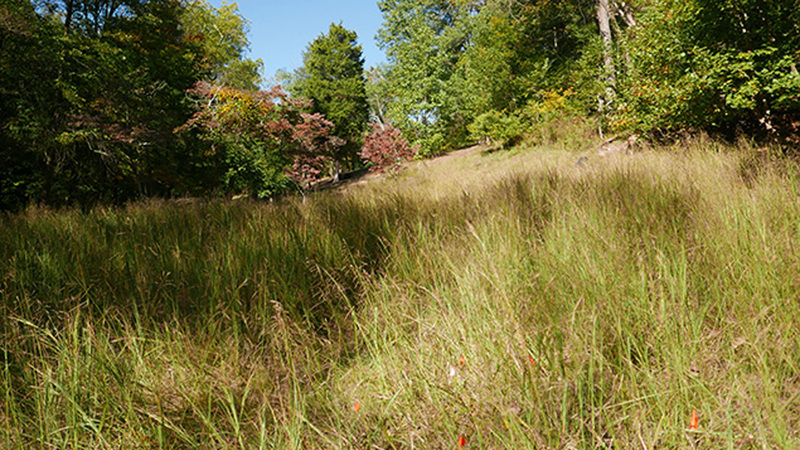 The Meadows Restoration project was launched in 2014. The project aims to transform five meadows used for grazing in Farrand’s era into urban meadows comprising native warm-season grasses and pollinator plants. To accomplish that task, the invasive grasses and vines must be removed, the meadows are then seeded, and a strict mowing regimen is put into place. The DOPC has already completed two of the meadows and work on the remaining three is underway. In 2015, the East Falls Dam (designed by Farrand) was stabilized through the use of gabions and the restructuring of the dam’s original stone wing walls. It is the DOPC’s goal to restore the entire system of 18 water weirs that Farrand designed in this stream valley, once all stormwater issues are resolved. Elizabeth "Liza" Gilbert, the chair of the DOPC’s Restoration Committee, is confident about the park’s future: “With the investment of over 20,000 hours of volunteer time, the generosity of several grants, and scores of individual donors, we feel that we have turned the corner and that the full restoration of the park can be achieved. We've already begun developing a maintenance management system that will combine the capabilities of the National Park Service’s Rock Creek office with the energy of hundreds of our volunteers and the focus of the Conservancy to ensure that the Park will be perpetually maintained,” Gilbert said. Hundreds of students from elementary schools, high schools, and colleges have already participated in the DOPC Environmental Education program and are becoming the park stewards of the future.